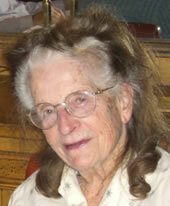 Jane Hard, had passed away. I first met Jane and Flip Hard in the early 80’s at probably my first ever cat show, at this time Korats did not have championship status and the plea was for more different cats on the show bench, so my Suli (the noisiest Korat in the world) was taken along to, I think Olympia, and there were the Hards with their much adored Bharu, the recipient of many, many rosettes. I still have a coaster with his photo! Jane and Flip were involved with what was then the Korat Group, from very early on. Flip was our first Delegate and was treasurer for many years, and a very good one he was too, no dramas, just efficiently doing a good job. Jane served on the committee at the same time, so they could always travel together, the fact that all of this travelling was on public transport didn’t deter them at all, so from deepest Dorset to meetings in central London on a Sunday by train they were always first there. At some point we had difficulty with a venue (I suspect our usual YMCA must have upped the price beyond our meagre means) at which point as an emergency solution, they arranged for us to meet in a flat in the Barbican belonging to one of their four sons. Our meetings then moved to Dunstable which was more difficult for them to get to so for quite a long time I used to meet them at a station and they would come with me to the meetings. Jane also stayed with me for a few days when I lived near to where a granddaughter was at school. The conversation was always interesting on those occasions as they had lived in so many parts of the world, then when Flip left the Army he became a barrister. Jane seemed to belong to a bygone era in some ways, she would have been an indomitable member upholding the flag in any far flung outpost of the British Empire! She had been brought up abroad and was an accomplished cross country skier, a sport she loved, and one she continued to do for a very long time. Both Jane and Flip were tireless in their service to Korats, they gave of their time and expertise unstintingly for many decades, just because they loved the cats, the KTCA would not be such a viable breed group today without the kind of dedication they provided. I only met Jane once, when she and her neighbour, Robin Miller, called in to meet the many Korats and Thais who reside with me – not to mention the odd Burmese! Jane was in her element with all those cats! However, we spoke often on the phone up until last year. Jane was certainly very dedicated to Korats, as was her late husband who sadly, I never met. 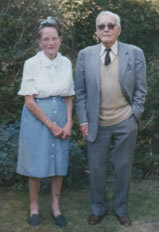 They both supported the club for many, many years and their commitment was unfailing. In the last year or so, I had missed Jane’s phone calls, asking when I needed her piece for the newsletter? Until very recently, she had never failed to report on her beloved Kesa. I’m sure Kesa, and her friends and family, particularly her son Robin who looked after her, are all sadly missing her presence in their lives. My thoughts and condolences are with them all.